Detailed Description: Lutron Designer Satin Colors® Tamper-resistant duplex receptacle in terra cotta color is made of durable plastic. 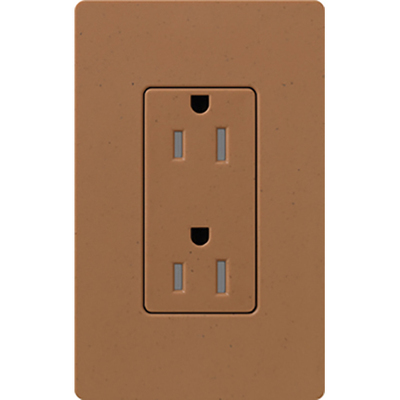 Receptacle has a current rating of 15 Amps and voltage rating of 125 Volts. The 1-Phase receptacle measures 2.940 Inch x 4.690 Inch and can be easily wallbox mounted. 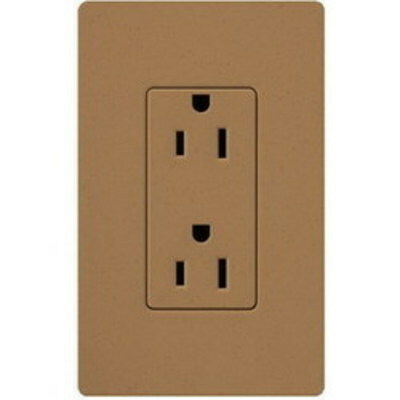 Operating temperature of the receptacle is 0 to 40 deg C. Receptacle is UL/cUL listed. Special Features Includes shutter mechanism (shutters are white). Wallplate sold separately.